Our Farm sits on 23 acres along the Illinois/Wisconsin border. We have an acre plus pond that is spring fed and runs through the property. 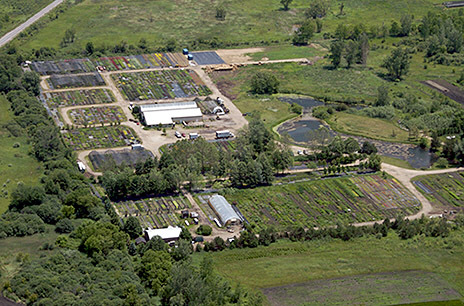 The tour shows our growing areas at the nursery, including our fields which we use to produce many of our plants.